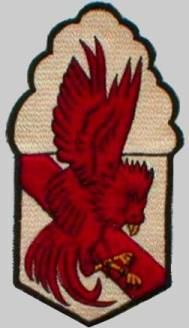 16 Sep 1950: The squadron participated in its first combat action, providing close air support for the amphibious landings at Inchon, Korea. 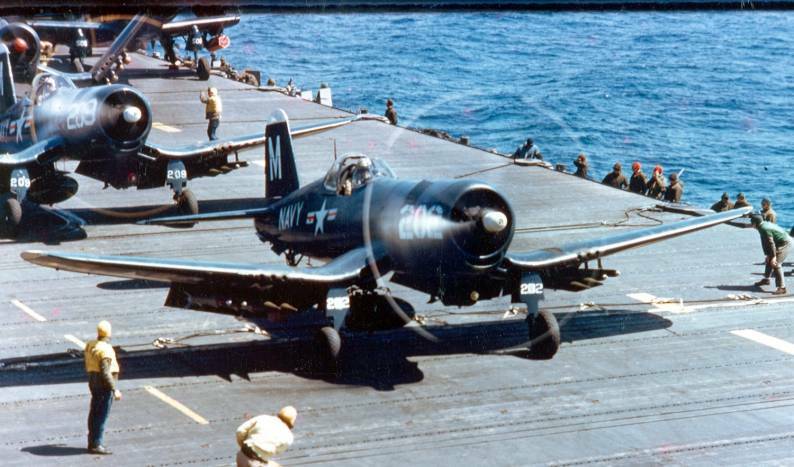 23 June 1952: VF-63, along with other units from Boxer (CV 21), Princeton (CV 37), Philippine Sea (CV 47), Bon Homme Richard (CV 31), U.S. Air Force and Marine Corps squadrons, conducted a major offensive against hydro-electric targets in North Korea. 6 August 1952: While launching combat sorties a severe fire broke out on the hangar deck of Boxer following the explosion of an aircraft gasoline tank. Eight people were killed and one was missing, with several seriously injured. 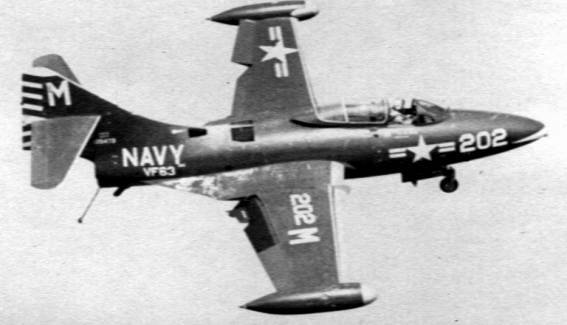 VF-63 did not suffer any casualties, however, three of the squadron’s personnel were awarded Bronze Stars for their heroic and courageous action during the fire. February 1955: The squadron, while deployed aboard Essex (CVA 9), provided air support during the evacuation of Chinese Nationalist from the Tachen Islands after the bombardment of the islands by the People’s Republic of China.